Radek has extensive international experience working and living in many European countries and in the USA. A part of his work has been executive coaching for Western managers being relocated to Poland and to other Eastern European countries. He delivers training programs in cultural awareness, multicultural team building, and leadership in multicultural teams. Radek is a passionate facilitator, moderator and public speaker. 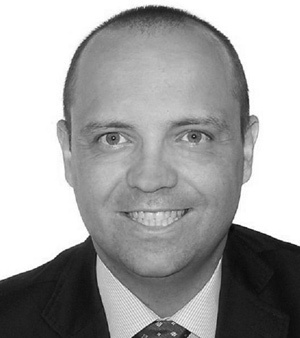 He co-founded SIETAR Polska and was a member of the Board from 2008 to 2010. He had a chance to work with CEOs from various companies. He supported many managers in their dealings with Eastern Europeans. His passion is post-Soviet countries, especially Russia, Ukraine, and Belarus. Radek holds a M.A. in Dutch Language and Culture from the universities in Poland (Wroclaw) and the Netherlands (Utrecht and Tilburg – additional courses). He works in the following >languages: Polish (native), Dutch (fluent), English (fluent), German (fluent), Russian (conversational), and French (conversational). Facilitated seminars for international project teams. Areas of interests include management and leadership skills development, cross-cultural awareness, and developing intercultural competence. Facilitated international team building and strategy sessions, also for virtual teams across the globe. Is Combining own passion to post-Soviet cultures with professional work, he delivered several sessions in Ukraine, Russia and Belarus. Mainly in Moscow, Minsk and Kiev. He worked many times with Russian and Ukrainian expatriates moving to Poland. Supported UEFA team for the organization of EURO2012 event. Sessions on Polish-Ukrainian cultures delivered in Warsaw.